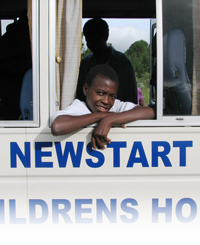 Become a sponsor by donating any amount to the Newstart Children’s Home (It takes about a dollar a day per child to keep them in school, fed, clothed and cared for.) In addition there are always the upkeep and expansion projects that need to be funded. 100% of your dollar goes to the project – none is used for overhead costs. Another way to support the Newstart Children’s Home is to purchase a cookbook or a CD, the proceeds of which go entirely to support the children. Just mail us a letter. You may print this form out if you wish. 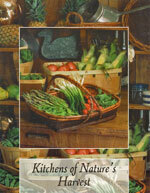 Please send me_____copies of your cookbook "Kitchens of Nature's Harvest" at $12.99 each, plus $3.00 postage and handling per book ordered.